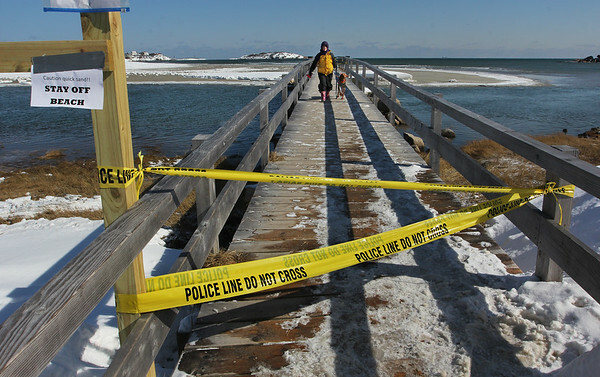 A woman walks her dog over the bridge Friday at Good Harbor beach despite signs telling people to stay off the beach because of quicksand-like conditions. The woman said she called the police department and was told it was not illegal to walk on the beach, but that she should use caution. She reported that the sand at midday Friday was firm and easy to walk on.